People can develop an allergy to anything. Common causes include drugs and medicines, foods, pollen and insect bites or stings. An asthma attack may be triggered by an allergic reaction. The most common foods that people suffer a reaction to are milk, eggs, peanuts, nuts, fish, shellfish, soya and wheat. The main causes known to trigger severe allergic reactions are peanuts, shellfish, wasp and bee stings, latex – such as in gloves, elastic and condoms – and drugs such as penicillin. Those at risk are people with a history of allergies, for example, asthma, hayfever or eczema. Allergies are becoming more and more common, and severe reactions are also increasing. 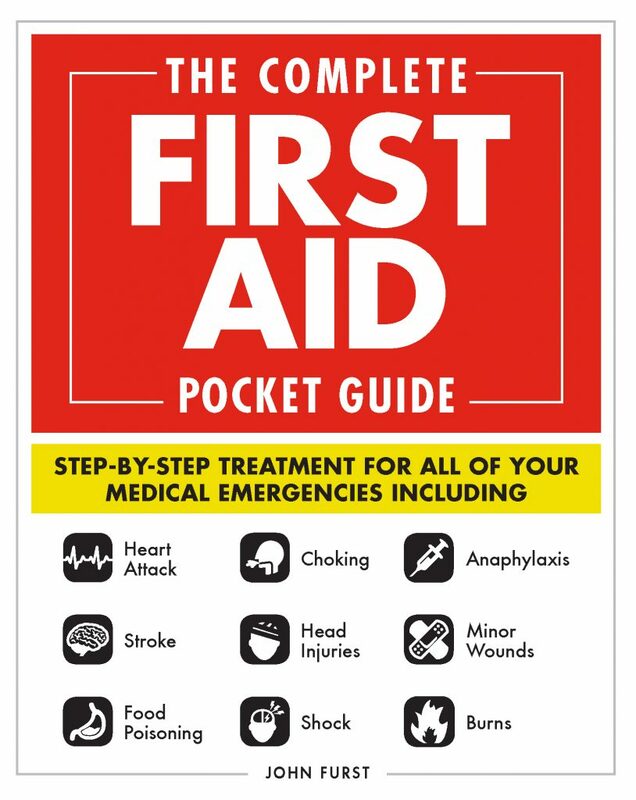 Victims may go into anaphylactic shock, meaning that the reaction is affecting the whole body. 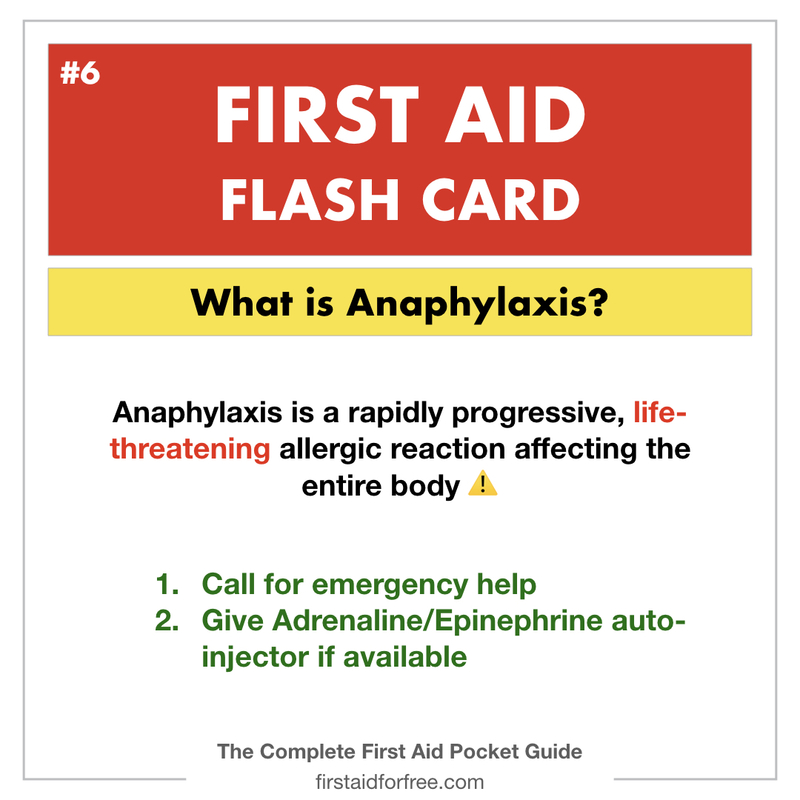 Anaphylactic shock involves a rapid, severe and sometimes life-threatening reaction to a trigger substance that an individual is allergic to, leading to a dramatic fall in blood pressure (hypotension). This reaction is potentially life-threatening within minutes of exposure to the allergen. Almost anything can trigger such a reaction, and it may develop within seconds or minutes of contact with the trigger. Common causes are insect stings; foods, such as nuts or shellfish; and drugs and medicines. People who know they are severely allergic may carry emergency epinephrine/adrenaline for autoinjection to counter the allergic response – immediate treatment can be lifesaving. The auto-injector will work even through clothing – do not waste time trying to undress the victim. Hold the other end of the injection device against the victim’s outer thigh, right angles to the skin. Press hard – the injection will be triggered automatically. Hold the device in place for 10 seconds. Remove the device and massage the site for a further 10 seconds. Some fluid will remain in the syringe – this is normal. Dispose of the device safely.